(... I can no longer bear the bitterness made by Arab tyrants protected and supported by clergy, while making a décor of sham political parties and parliament to deceive the gullible masses! I live in a Gulf monarchy, I'm fed up with oppression and poverty of the nation I live in, within domestication of the enslaved citizens in harmful mosques that spread falsehoods about religion and politics in my country ... I'm depressed that few people in my country know the Quranic Truth and about Quranism, but they are too weak to be outspoken, and they avoid the cursed political cobwebs so as not to be persecuted ... Any advice? Do you have any soothing words to make me calm down, Sir? Thank you very much for your time ...). 1- We, the Quranists, are the solution, with our peaceful intellectual endeavors calling for both political and religious reform. 2- The solution is NEVER to allow some people to ascend to power and rule instead of current tyrannical rulers; we discern now that anyone reaching power after a revolt against the former tyrant will turn into another tyrant, who would be more oppressive and tyrannical than his predecessors. Those who reach power following a coup must have enough strength and power to depose a tyrant and replace him in the throne, and so as to succeed, any leader of a coup must raise mottoes and banners of reform to deceive the masses and make them support him. once in power, the new tyrant becomes worse than his predecessors; let us provide an example to illustrate this within the Egyptian experience. The military rule of Egypt begin since 1952 coup, and Mubarak was the worst military tyrant who ruled for 30 years and made Egypt deteriorate on all levels. In the last year of his rule, he was keen on either making his son succeed him or to grant himself a seventh presidential term. After his ouster in Feb. 2011, all hope is lost when the military generals competed with the terrorist MB for power and rule in Egypt, as the weak, inexperienced civil politicians have been gullible and naïve and could not face them both nor to gain support of the citizens who cast doubts on everyone at the time. The revolting youths had the dream but lost it, as they are powerless and never sought to rule, and many youths were massacred by security forces of Mubarak, and the youths had to leave the scene, leaving Egypt descending into terrifying chaos. The Egyptian military army had to restore order by ousting Mubarak and to rule temporarily, within a military council, while promising everyone that things will be OK, but throughout 2011 massacres against citizens were committed, and fingers of accusations were pointed at the military generals. The military council had to retreat as a tactic to allow the terrorist MB to rule and reach power within a sham, fake democratic process and rigged elections. This has been the only chance to expose the terrorist MB and make it show its true colors, as it was ready to leap on the throne at any cost. the terrorist MB waited for more than 80 years to reach power, since 1928, and yet, they were never ready to rule or even to re-consider for 80 minutes that they are getting the bait naïvely. They were bound to fail because they aimed at theocratic rule and they were very corrupt; Egypt was too big for Wahabi terrorists like them who had no vision that would fit 21st century modern world, as their thinking was fossilized and calcified at one stage: theocratic caliphate typical of the Middle Ages. Hence, more than 30 million of the Egyptian population revolted (by organizing peaceful sit-ins all over Egyptian cities) against the corrupt and failed MB rule after one year; the Egyptian military generals seized the chance; after 4 days of consecutive sit-ins by millions who demanded the ouster of the MB president, he was ousted by the military and the MB terrorists committed massacres and terrorist crimes to revenge, then most of them returned to Egyptian prisons, where they have belonged earlier and now, and they deserve it because of the terrorist operations they have committed against Egyptians, especially Copts. 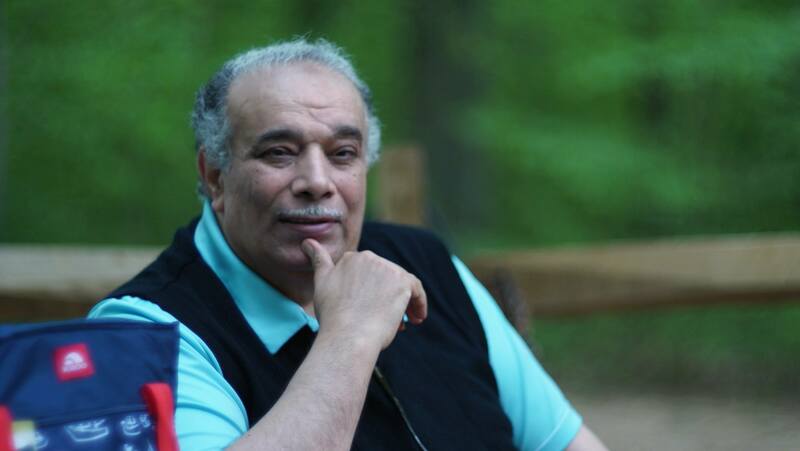 A not-known-before general in his late fifties rose suddenly to fame, who was the Egyptian Minister of Defense who appeased the Egyptian people by ousting the MB president, and we tend to think of him as a hypocrite and a liar. Millions of Egyptians supported him as a savior and proved such support by sit-ins containing millions of people in Cairo, and such popularity resulted within a democratic presidential election in his becoming the president now, though he was in power already in the military. Once enthroned, his promises of reform vanished, and we tend to think he is worse than his predecessors, as Egypt is filled with economic problems and terrorist crimes while preachers of reform are incarcerated. President Al-Sisi could have applied democracy and could have imposed religious reform through his popularity. Indeed, he has raised the motto of reforming the religious discourse to face Wahabi MB terrorism that misuse and hijack the name of Islam, but he is, in our own opinion, more tyrannical and corrupt than his predecessors; hence, anyone taking power and reach the rule of Egypt after President Al-Sisi will be worse, even if mottoes and banners of reform are raised again; the deep-rooted corruption lingers because Wahabism has not vanished yet in Egypt, or in the Arab world, until now. 3- Even if we suppose that President Al-Sisi is a good person with good intentions, who will be a real leader who insists on applying religious reform and democracy, such transition will not yield results suddenly; millions of corrupt people in Egypt will accuse President Al-Sisi of being an anti-Islam 'infidel'! those corrupt ones will manipulate the ignorance of the masses who think wrongly that Wahabism is synonymous with Islam, and the dominant corruption and ignorance will allow such corrupt ones to defeat President Al-Sisi if he ever tries to apply religious reform, and later on, one of such corrupt affluent people would reach power and become a worse president re-creating a worse type of tyranny. 4- From the experience of Egypt, and other countries such as Somalia, Libya, Syria, Iraq, and Tunisia, we conclude this terrifying political fact: tyrants who rule for long remove all good elements and experts in all fields as well as reformers and drive them to immigrate to avoid persecution, while the worst people such as hypocrites and corrupt ones apart from obsequious masses and riff-raff, who would lead all fields such as media, culture, politics, ministries, clergy of all denominations, education, economy, and business. Such corrupt henchmen would provide sham façade of democracy; some would play roles of opposition figures and some support tyrants, and all the time gain lots of money and call for stability and maintaining the status quo while making people afraid of change leading to chaos. Such corrupt affluent groups of people would them maintain Sunnite notions to silence everyone, such as Sunnite fiqh notion of (to have an oppressive ruler is better than chaos and civil strife). Hence, tyrants have all affluent ones working for them: businessmen share profits with tyrants, clergy support the tyrant in houses of worship and in media, tyrants attend masses in churches and sermons at mosques, obsequious media figures heap praise for tyrants, etc. When tyrants grew old and senile, their regimes would collapse, and they are succeeded by any of their unwise, corrupt henchmen, who will first struggle for power, authority, and rule, until either one of them is enthroned or the country would collapse internally or by external or foreign military intervention. All this is a direct result of corrupting influence of tyrants and their cronies and henchmen who corrupted whole nations or vast majority of people within a climate of deep-seated corruption. The good elements are banished to live in exile, persecuted, incarcerated, or killed, after tarnishing their names and reputation, whereas corrupt ones remain immune against criticism and questioning, while maintaining their 'good' reputation, though they are the meanest vilest people, and they cannot lead anything; they just applaud tyrants and cannot possible fill in the void created when tyrants die or get ousted/deposed. This result in armed struggle or civil war for power that might bring about the collapse of a given country or that one of them would reach power and rule eventually to stop such collapse of the State to rule it as a tyrant. The reason: deep-seated corruption lingered for decades in all aspects of the nations and the State itself. In some other cases, foreign military intervention (with money, forces, weapons, and alliances). Many weak countries have ideal condition making them ready for such foreign military intervention that benefit only the 'friendly' and/or aggressive interfering power (of the same race or non-Arabs, or both) and never the country on the verge of collapse or its nation. Some weakened factions enlist foreign help and intervention, resulting in ruin and destruction as well as massacres, before eventually an undeserving dwarf would assume power and rule. 5- Hence, the core of the problem is the corrupt climate that has lingered for decades and affected generations of a given society. The rebellious youths of 2011 revolt in Tahrir Square were hundreds of thousands, and tens of thousands were killed (some by snipers and some by security forces), and the corrupt ones in Cairo blame such youths until now for the resulting chaos that remained until June, 2013. Corrupt ones never accept any change to the status quo (and to maintain Wahabi religion) and advocate 'stability' so that corruption goes on until now. 6- Democratic transition in Eastern Europe succeeded after this region got rid of the communist tyranny, because people there had no Wahabism (or similar tyrannical corrupt faith within any Christian denomination) to fill in the void after communism collapsed; even churches have no political authority there; thus, democratic civil rule has been established easily. Even people there imposed a curfew on Christianity so as not to get out of church walls, as everybody in Europe learned the lesson since the Middle-Ages when the earthly, man-made fabricated Christian religion caused lots of massacres by the dominance, power, and wealth of the Church that spread myths, until Europe got rid of the political control of the Church by raising for a while a communist motto of (hanging the last tyrant with the intestines of the last priest). 7- In contrast, in the countries of the Muhammadans, people crippled with the dominance, heavy influence, and tyranny of Shiite and Sunnite clergy who fight each other and cause massacres, e.g., in Syria, Iraq, and Yemen. Even in a country with no or few Shiites, Wahabi Sunnites groups struggle against one another for power while destroying and ruining their countries; e.g., in Somalia and Libya. We fear this is bound to occur soon in Sudan and Algeria. 8- It is not easy to purify soon the current deep-rooted dominant culture of corruption, enslavement, and tyranny in such countries (e.g., let us not forget that in the case of Egypt, corruption dates back to the 1952 coup) and such culture is maintained and fortified by the dominant earthly religions of the Muhammadans (Shiite, Sunnite, and Sufi creeds), allowing tyrants to be armed with clergy. Sadly, even when rebels revolt against tyrants, these rebels are also Wahabis or follow/impose any other political earthly religions of the Muhammadans to tyrannize over people. for instance, the terrorist Wahabi MB attempted to replace the military Mubarak regime in Egypt, and Mubarak, though a secular tyrant, used to control and ride Sunnite Wahabi clergy who obsequiously were eager to please him in return for money and influence. Thus, many Wahabi trends support tyrants (within military or monarchical rule), such as today's Salafists in Egypt, who vie with Al-Azhar to brainwash minds and heart of Egyptians with the corrupt Wahabi culture, and this is the real obstacle preventing democratic transition, freedom of expression, and the culture of dialog and compromise. 9- Arab tyrants control and ride clergy to ride and control citizens; if citizens would one day get rid of such clergy riding their backs, tyrants will fall. Yet, if tyrants fell and clergy rule instead or even maintain their power, dominance, influence, and authority, things will get worse within a theocracy with a veneer of democratic façade or décor, as the case in Iraq, without real, but sham, democratic culture, as real democratic transition is never allowed by Sunnite and Shiite clergy there. 10- Thus, we assert here that the application of the culture of democracy is impossible without real religious reform, and such reform is essentially a peaceful intellectual endeavor that expose and debunk myths of clergy so that the clergymen no longer control minds of people and lose their power and influence over nations. When secular, civil, and rational thinking dominates, the Arab societies will be ready to embrace and apply the culture of democracy. Quranism is the solution to apply such reform, and we have said so many times in vain, as no one pays attention to Quranists until now! 1- We, Quranists, are the solution with our intellectual peaceful call for political and religious reform. 2- We, Quranists, are the ones who have the intellectual ability to refute Wahabism and other earthly, man-made religions of the Muhammadans, from within the Quran itself, but we are impecunious and therefore lack the means to reach out to all Muslims/Muhammadans to raise their awareness. 3- Enemies of Quranism (i.e., tyrants + clergy) impose media blackout on Quranists, and do their best so as not to allow Quranism to spread among larger strata of common people; if Quranists would ever have just one satellite channel, Wahabism will be eliminated within few years. 4- Those who are convinced by our call for reform, among non-Quranists, should help us at least by conveying what we write on our website to reach as many people as possible to raise their awareness about Quranism (i.e., real Islam) and about reform; this is not difficult via the cyberspace. But we many times write about this easy request from all peaceful ones, but in vain; no one is eager to help us so far. 5- Of course, Quranists need financial help to spend money to maintain the website and the IQC. The enemies of Quranists; i.e., Shiite and Sunnite Wahabi clergy have billions of $, and Christians of the West dislike very much or defending Islam (i.e., the Quran), and they will never finance us (with millions of $) unless we tell the lie that Wahabism is synonymous Islam, and we refuse and refute such myth of course, as some persons in the West desire to make Islam appear responsible for massacres and other heinous crimes of Wahabi terrorist organizations. The basic premise of the Quranist call is to reform Muslims (i.e., Muhammadans) from within Islam (i.e., the Quran) by showing forgotten and rejected Quranic facts and proving how real Islam (Quranism) contradicts Wahabism and Shiite and Sunnite clergy. Hence, the vast majority of our fellow Quranists worldwide who write on our website are impecunious and poor and cannot donate anything but their intellectual endeavors, and Quranists like ourselves in the VA-based IQC have no money at all, and we personally feel shy and cannot ask for donations despite the dire need of these donations. We hope one day that some affluent people would be convinced by our call to save Muslims (i.e., Muhammadans) and to clear the name of the great region of Islam whose reputation and image are tarnished by evil deeds of those Wahabi Sunnite terrorists, and Shiite ones as well, who hijack its name by ascribing their crimes to it. 6- After our personal intellectual struggle of 40 years, while carrying the torch of hope (i.e., Quranism), we ourselves feel that we are about to despair; religious massacres are still being committed worldwide and people wrongly ascribe such heinous crimes to the name of Islam; Quranist writings of political and religious reform do not reach most Muhammadans worldwide. As we write these lines, there is not even the faintest glimmer of hope for a real change coming soon. 7- We repeat words of prophet Shuaib: "... I desire nothing but reform, as far as I can. My success lies only with God. In Him I trust, and to Him I turn." (11:88). As always, God says nothing but the Truth.